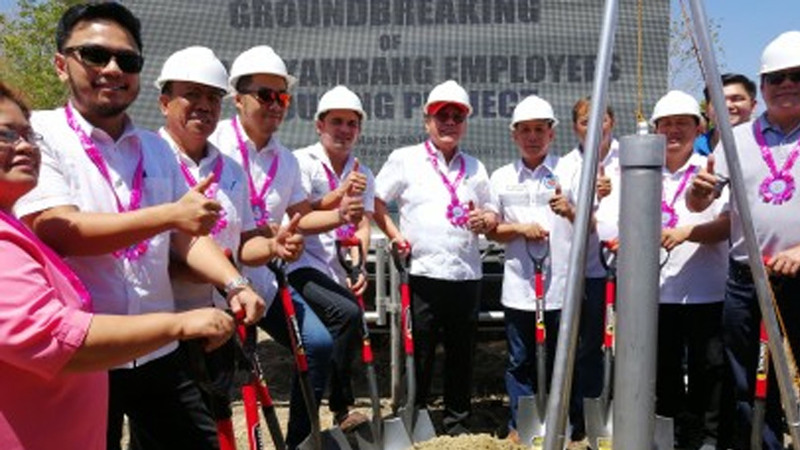 The local government of Bayambang launched on Monday its first employee housing project, called “The LGU (local government unit) Ville”, in Barangay Bical Sur here, with a total of 255 units set to be constructed and offered to municipal government employees this year. “This project will redound to the benefit of the municipal employees. This is a big contribution of the LGU if they consider housing as one of their important programs that they have to implement,” Pag-IBIG Senior Vice President Fermin Sta. Teresa Jr. said in an interview Wednesday. Sta. Teresa acknowledged that Bayambang’s housing project is a high-end subdivision. “This is a rare opportunity that is open to LGU employees. So to the beneficiaries of this program, we encourage you, after Pag-IBIG Fund will take out the accounts, to ensure that the house will be yours and you can pass it on later to your children. Make sure that you will be paying the amortization regularly,” he said. “And Pag-IBIG financing will not stop here. After acquiring these properties and later you decide to expand or improve the house, we still have programs where each member can avail of a home improvement loan and we will not change the interest rate,” he added. The LGU Ville is Pag-IBIG Fund Luzon Group’s second LGU housing project to be inaugurated. The first was held two weeks ago in the municipality of Bauang in La Union province. Mayor Cesar Quiambao, meanwhile, noted that the housing project is not for free, but is in response to the clamor of municipal employees when he delivered his State of the Municipality Address (SOMA) last year. He said this is part of the municipal government’s efforts to give Bayambangueños the capacity to own a decent house. Quiambao bared that he has placed the project under the Special Economic Enterprise Office to enable the LGU to sustain its annual budget.